For Domingo Samudio, coming up with a Top Five hit was as easy as "uno, dos, one, two, tres, cuatro." Sam the Sham and the Pharaohs broke out of obscurity in Texas to place "Wooly Bully" at the top of the charts in 1965. Domingo Samudio (his friends called him Sam) always wanted to be in show business. At his Dallas high school, he formed a rock-and-roll band with Trini Lopez who later scored a Top Five hit with "If I Had a Hammer" in 1963. After graduation, and following a four-year stint in the Navy, Sam studied classical music, moonlighting as a rock and roller in the evenings. The rigid regimen of college wasn't for him, and, after two years, he quit to become a carny. But the draw of music was stronger than the lure of carnival life, and soon he was back in the clubs, playing keyboard for a variety of bands. In 1963, he decided to start his own group. He needed a catchy name. One night, a musician gave Sam a new nickname. Watching Sam gyrate around the stage when he sang, the guy called him a sham artist — R & B slang for someone who dances, shaking his hips as he performs. Sam the Sham — he liked the sound of it. It was a good start, but he still needed a name for the backup musicians. A trip to the local bijou solved that problem. Taking in Me Ten Commandments, the band members thought the king of Egypt looked rather hip. That next day, they became the Pharaohs, investing a few dollars in brightly colored material to make flamboyant Arab-inspired stage clothes. 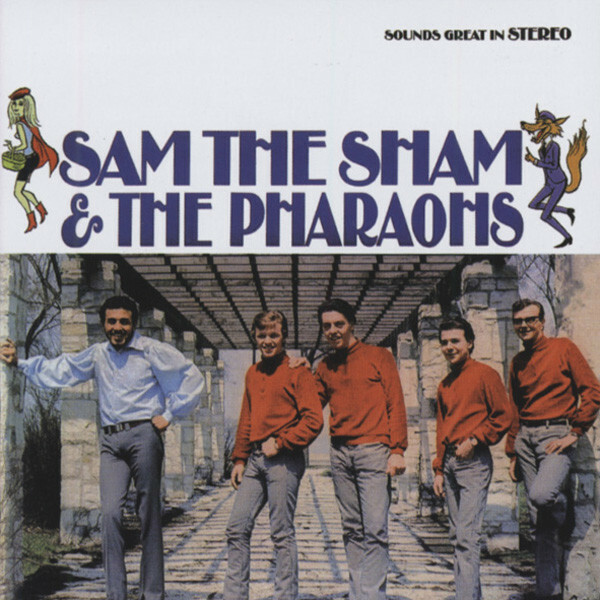 Sam the Sham and the Pharaohs' good-time shows quickly gained a following in the Texas clubs, and a handful of independent single releases fared well locally. In 1964, MGM Records came calling, offering to bring Sam the Sham and the Pharaohs' rollicking sound to a larger audience. Sam had the perfect song for the first single. It was a dance song, featuring a heavy beat provided by drummer Jerry Patterson. With words based on "The Hully Gully," a popular dance that had been the subject of several hits ("Baby Hully Gully" by the Olympics, "Hully Gully Again" by Little Caesar and the Romans and "Hully Gully Baby" by the Dovells), Sam was sure he had a song that couldn't miss. In the studio, just minutes before they were set to record, an MGM executive notified the band that MGM wasn't interested in releasing another "Hully Gully" record. They would have to come up with something else. Sam counted in the band, making up new lyrics on the spot. Wooly Bully was the name of his cat and fit the meter of "Hully Gully," so he started from there. He improvised a whole new set of lyrics as the band recorded three takes of the song. The now-famous Tex-Mex "Uno, dos, one, two, tres, cuatro" countdown to the song was also done on the spur of the moment. Sam wanted it taken off the record, but the rest of the band loved it. So the bilingual opening stayed. Customer evaluation for "French 60s EP Collection...plus"